Join Us For a Powerful Easter Week Experience! In addition to our services at Hylton Chapel, we’re hosting two services at the Fairfax County Adult Detention Center! 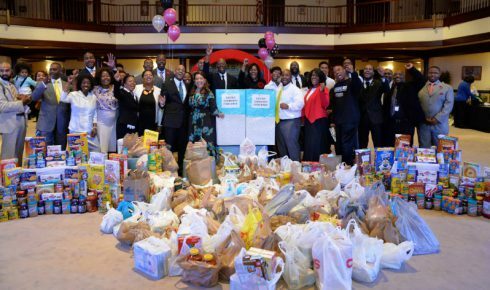 Easter Sunday also culminates our Food and Care Package Drives – two of our community initiatives that bless both residents and service organizations in Prince William County. We’re also hosting several powerful events during Easter Week, the days leading up to our Easter services! Invite Someone To Our Easter at Hylton Services! Right-Click the Invitations to Download and Share – Invite Someone! Join us for our life-changing Palm Sunday services! We’re commemorating Jesus’ triumphant entry into Jerusalem with the dynamic Harvest Life Mass Choir, a powerful message from our Senior Pastor, Bishop Lyle Dukes and more! Take home a palm* as a keepsake – to remind you of this special week and what Jesus did for us! Our church fast begins at midnight on Tuesday, April 16th and ends on Wednesday, April 17th at 4:00 pm. We’re coming together on Wednesday at 7:30 pm for our Holy Communion Service. Information about fasting is available at Guest and Membership services in the church foyer. We’re coming together to celebrate and commemorate Jesus’ tremendous sacrifice on the cross during our Holy Communion Service. Don’t miss this life-changing time of prayer, praise and worship, the Harvest Life Mass Choir and the Word of God as we celebrate being “Raised to Life” in Christ! We’re celebrating Good Friday with a dynamic service, “The Seven Last Words of Jesus Christ on the Cross”! You don’t want to miss it! Bring your children out to the Hylton Memorial Chapel and join the Easter fun! It’s a family affair featuring moon bounces, face painting, funnel cakes, cotton candy and more! Register your children for the Easter Egg Hunt now! Our Easter at the Hylton services will be filled with praise and worship, dance performances, the Word of God, fellowship and more as we celebrate being “Raised to Life” through the power of Jesus Christ! We’ll also have awesome activities for youth, selfies, ministry information booths, our bookstore and more available in the foyer! After our 9:00 am service, you can buy lunch on-site and get ready for our 11:30 am service. Invite someone to be a part of the Easter at Hylton experience! 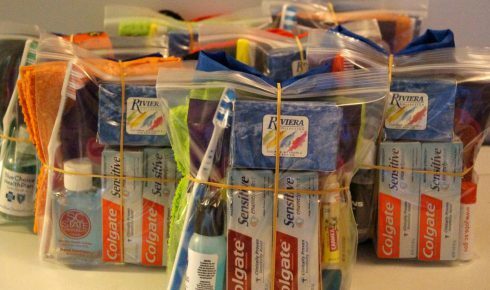 Be The Difference and Support Our Community Outreach Drives! Help families in need by donating to our Easter Food Drive and Care Package Drive. 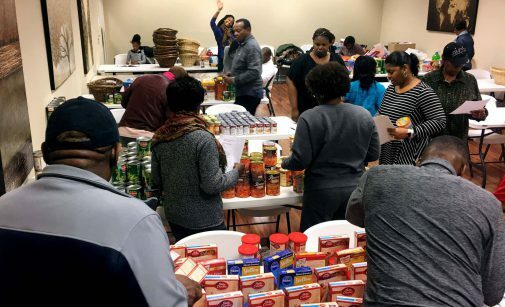 Donations can be made at Harvest Life Church by Friday, April 19th and at Hylton Memorial Chapel on Saturday, April 20th or Easter Sunday, April 21st. Please bring non-perishable food items to the Harvest Life Church by Friday, April 19th, or bring them to Hylton Memorial Chapel on Saturday, April 20th or to one of our Easter Services (9:00 am and 11:30 am) on Sunday, April 21st. Give towards the cause of Jesus Christ and help save souls and change lives across the Northern Virginia region and around the world.